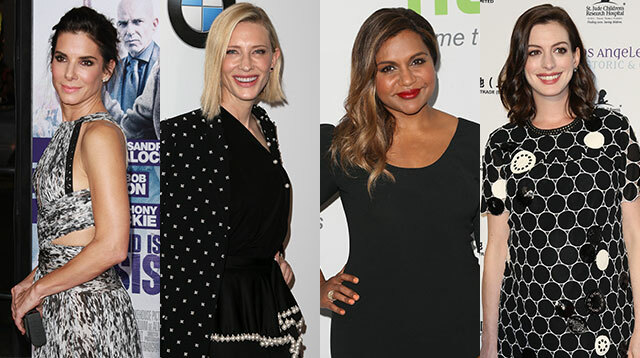 We Are So Excited For The All-Female 'Ocean’s Eleven' Reboot! Headlines, hot news, and conversation starters on August 11, 2016! 1 Hands up if you’re looking forward to the upcoming Ocean’s Eleven reboot! The original film trilogy led by George Clooney is getting an all-female treatment, and you won’t believe the names attached to the movie. Sandra Bullock and Cate Blanchett have already been confirmed—YAY—and now, Variety reports that Rihanna and Anne Hathaway are in talks to join the cast, along with Mindy Kaling and Helena Bonham Carter. Production is set to begin in New York this October. 2 Another movie we’re looking forward to? KathNiel’s Barcelona: A Love Untold. Kathryn Bernardo just posted the official poster on Instagram, and it looks so dramatic! 4 Celebrity pairs Billy Crawford and Coleen Garcia, and Kean Cipriano and Chynna Ortaleza recently got together for the premiere of That Thing Called Tanga Na. Of course, they couldn’t let the opportunity pass by and hammed it up for some prom-style couple photos. Which pic do you like best?